The present Delamore, the fourth house to be built on the Estate, was commissioned by Admiral Parker and built in 1859. Delamore has remained in the same family since 1688 when it was purchased from the malmains by Sir George Treby of Plympton. It is still a traditional agricultural Dartmoor estate. Two of the principal rooms in the house are used as galleries for hanging paintings. Immense windows provide excellent natural light and visitors have an opportunity to view the paintings at leisure within the atmosphere of this impressive country house. 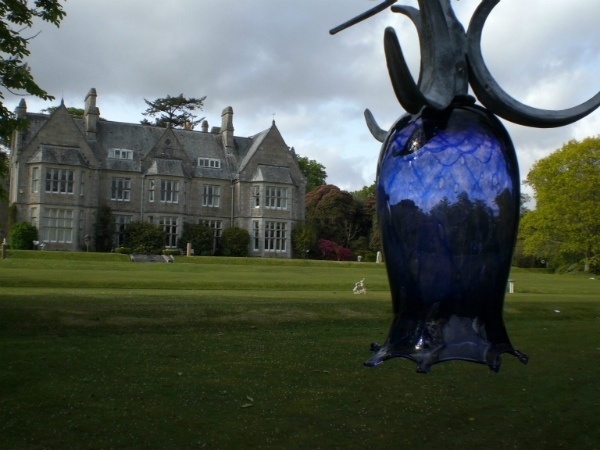 The gardens provide a superb showcase for the sculpture and in this setting the visitor can view the works of leading artists set against the background of impressive parkland trees and well-tended flowerbeds.